IREQ’s expertise and energy are at your service. 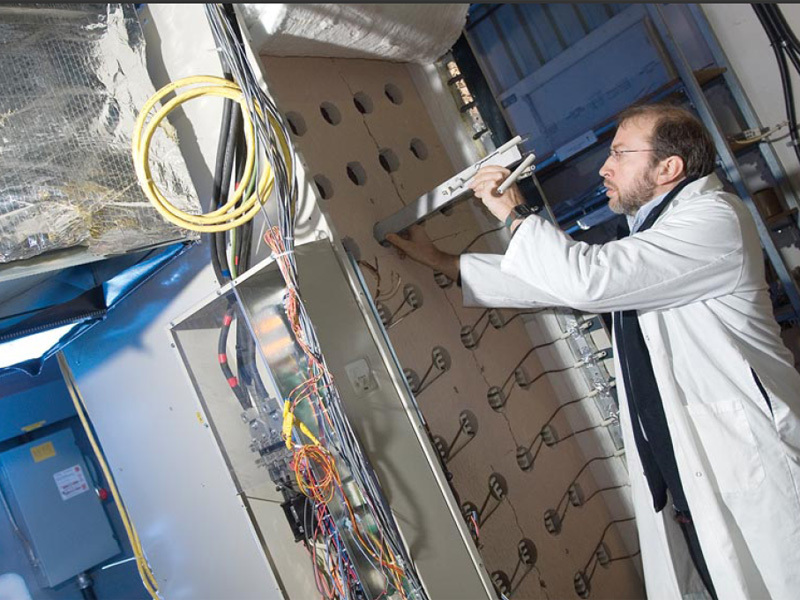 The Institute’s world-renown scientific and technical expertise in the energy field is fundamental to carrying out R&D projects or for technical support. In addition, IREQ’s laboratories offer a wide range of testing services in the areas of high voltage, mechanics, thermomechanics, system simulation as well as diversified calibration and repair services. Work with leaders in innovation: four decades of expertise, world-class testing facilities, independent services, and a team that’s attentive to your needs. Team up with leaders in innovation! Hydro-Québec’s world-renown research institute has a top-notch team of scientists with complementary expertise in electrical equipment, materials science, robotics and civil engineering, mechanical engineering, metallurgy, wind-hydro power, measurement and information systems, power systems and mathematics, and energy use. By applying this knowledge to develop leading-edge solutions, IREQ supports Hydro-Québec in every facet of its activities, from electricity production to consumption. Take advantage of the IREQ team’s extensive expertise to ensure the success of your R&D projects. IREQ has substantial expertise in the area of power systems and energy. The institute’s experienced personnel can help you solve problems related to equipment and its operation. 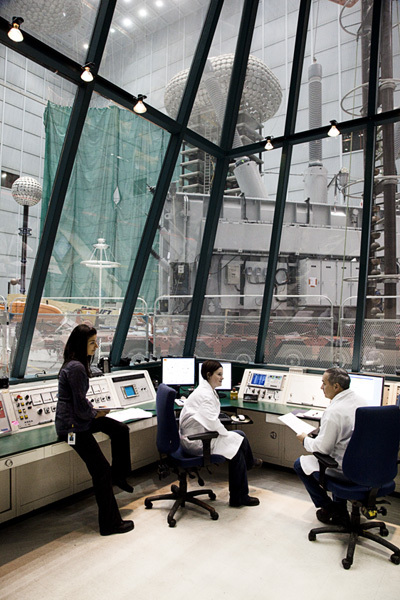 This laboratory ranks as one of North America’s leading testing facilities for high-voltage lines and equipment. Our personnel have the experience and know-how to perform tests to validate and optimize equipment according to manufacturing standards and usage requirements. Many testing areas, which can be adjusted to meet your needs, and where leading-edge equipment is used to test a wide range of devices: disconnect switches, circuit breakers, insulators, crossarms, surge arresters, reactors, transformers, etc. Ranked as one of the most advanced in the world, the laboratory is used to carry out a wide range of studies related to the design and operation of electricity transmission and distribution systems. Whether your needs involve studies, testing, consultation or model development, our team will come up with the best solutions. Wide range of advanced simulation services, which make it possible to perform real-time system and equipment performance testing in a laboratory environment, in a plant or at a construction site. The laboratory uses both off-line simulation software and an all-digital real-time simulator known as HYPERSIM. This powerful simulator is able to represent a medium-scale transmission network and to interface it with control systems, whether automatic controls as simple as protective relays or more complex systems such as DC controllers. The laboratory offers specialized facilities for the analysis and resolution of technological problems related to the mechanical and thermomechanical behavior of electricity transmission and distribution systems. Testing programs adapted to customer’s needs for many types of apparatus. Many testing areas: mechanical experimental lines, mechanical test benches, climate test chambers, cable testing laboratory, and areas for endurance, heat-run and cyclic aging tests. The laboratory offers calibration services and performs repairs for a wide variety of measuring equipment. 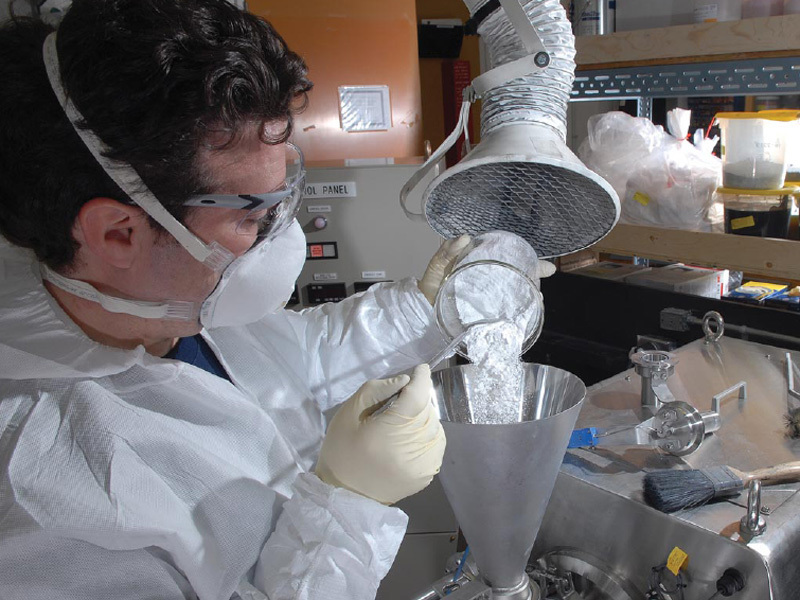 Our personnel have a solid expertise in the measurement and assessment of uncertainties. Our extensive accreditation covers the full spectrum of industry needs. A wide range of calibration services: voltmeters, ammeters, multimeters, wattmeters, resistors, etc. High-precision calibration: standard cells, resistors, capacitors oscillators; multi-purpose calibrators; etc. Specialized calibration: high-current and high-voltage equipment. Fast, high-quality repair services: voltmeters, ammeters, phasemeters, oscilloscopes, etc. Focusing on energy-use technologies, LTE—the Hydro-Québec research institute's energy technology laboratory—puts technological innovation to work for the company's customers. Located in Shawinigan, the laboratory brings together the expertise of some 60 specialists in building energetics and industrial energetics. 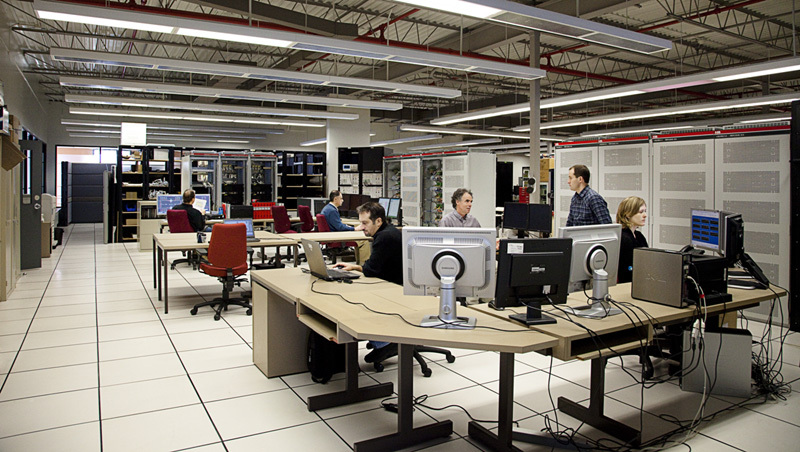 As Québec’s leading research facility in technological innovation with respect to energy efficiency, the LTE has a wide variety of equipment and specialized testing methods. Through its research into new technologies and performance evaluations of promising options, the laboratory meets the need of Hydro-Québec’s customers (residential, commercial, institutional and industrial) to become more efficient in the way they consume energy or to develop special applications.